Fonseca (2008) defines Consumer culture as a process that “represents a condition in which consumption is seen as having the role of increasingly mediating certain aspects of social relations and consumption has the symbolic ability to represent affiliation to a certain group and its lifestyles, as well as to generate a sense of identity.” The mention of identity in Fonseca’s definition brings about an understanding of the impact consumer culture can have on social agents, and not just on the economic or capitalism that comes with consumption. This essay will discuss the relationship between Consumer culture and Identity. 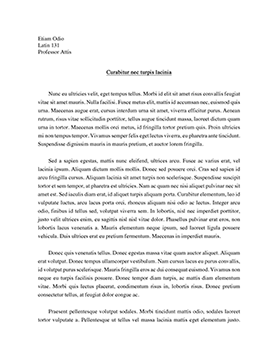 The essay is divided into five parts; the first section is an introduction into what Consumer culture is, the second section is also an introduction into what Identity is and how it is used in the context of the essay, the third section deals with the crisis of identity in modern day, the fourth section introduces consumption in a contemporary society, the fifth section explains the impact consumption have on identity (how we reflect on ourselves and use goods to shape our identity). This essay concludes by using Giddens (1991) argument about the modern dynamic reflectivity has an impact in the process of reconstructing ones identity when it comes in contact with the post traditional setting, to show that the relation between consumer culture and identity is that Identity is formed as consumption takes place. ...society: Myths and structures (Vol. 53). Sage. Beck, U., & Beck-Gernsheim, E. (1995). The normal chaos of love. Cambridge: Polity Press. Davis, J. (2007). The Promise of Potential. Minnesota: JD Coaching and Consulting. Dittmar, H. 1992. The Social Psychology of Material Possessions: To Have Is To Be, Hertfordshire, Harvester Wheatsheaf. Giddens, A. (1991). Modernity and self-identity: self and identity in the late modern age. Cambridge: Polity. Lury, C. 1996. Consumer Culture, Cambridge, Polity Press. Sassatelli, R. (2007). Consumer culture: History, theory and politics. Sage. Stryker, S. (1980). Symbolic interactionism: A social structural version. Menlo Park: Benjamin Cummings.